We take pride in our work. Our guaranteed service professionals are known as the best in Orange, and for good reason. 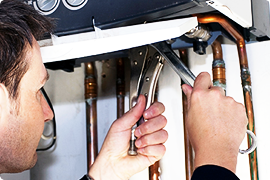 We stand behind all our plumbing work with complete confidence. In addition, we are trained and certified on all of our equipment, by the manufacturers, in order to provide you with the superior service you deserve. I bought a house from a developer and had some minor plumbing issues. The developer was non-responsive so I went ahead and contacted Knights Plumbing who was the subcontractor for this house. Anita from Knights Plumbing was very nice and helped me schedule Dana to come out to fix my problems. Dana was always very prompt and professional and tried to resolve my issues. One thing I learned after purchasing a house is that the good ones are the ones that will stand behind their work and will make things right. We at Knights Plumbing have the experience and equipment to locate leaks that may be hiding in hard-to-reach areas, including inside or underneath slab foundations. Knights Plumbing provides a wide range of services 24 hours a day, 7 days a week, proudly serving the residents of the City of Orange and surrounding cities. 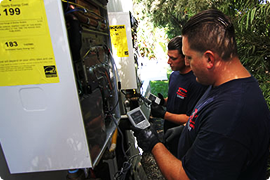 Emergency Plumbing 24/7 for Orange County, CA. Flat Rate Pricing - No Surprises - Our Emergency Plumbers will be there to solve your plumbing issues quickly. We have re-plumbed thousands of homes. Don't worry about overtime or surcharges: We have flat rate pricing for all our jobs. Call for a free estimate. We can repair or replace your hot water heater today with a 5 to 15-year guarantee. Call today for a free quote. A sewer inspection and estimate using our state-of-the-art video camera will provide you with an accurate quote to repair your sewer or drains. 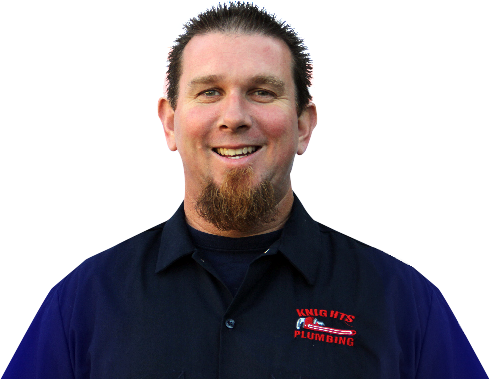 Knights Plumbing is a highly-experienced plumbing contractor located in the city of Orange, CA. 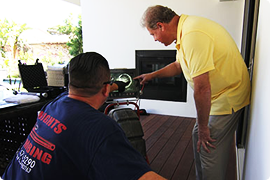 With decades of plumbing experience, we have established our reputation as the best plumbing company in Orange County. We take pride in our reputation, our team, and our results. Orange County has three million residents, making it one of the most populous counties in the United States. Containing 34 cities, the O.C. is a densely populated suburban zone with many constant needs. Plumbing problems inevitably arise, and when they do, such a large and diverse community requires an expert plumbing company to meet its demands. 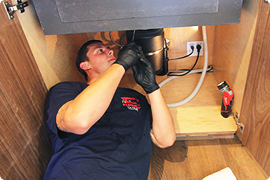 Knight's Plumbing has extensive experience addressing the intricacies of plumbing systems. We've seen every type and style of structure in the county, and are large enough to handle multiple calls at once. Being a 24-hour full-service plumber, we will respond to your call immediately.